See more of Lisbon while traveling by Sitway and tuk-tuk on a 3-hour tour that covers three of the Portuguese capital’s oldest neighborhoods. 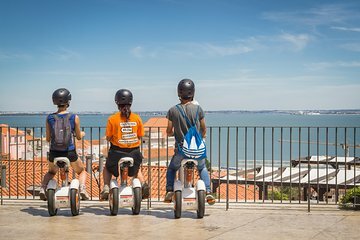 Experience the Sitway, a seated version of the eco-friendly Segway transportation device, as you zip through the Praça do Comércio and the Alfama. Next, ride uphill in a tuktuk to Graça where you get sweeping views over Lisbon and the Tagus River.